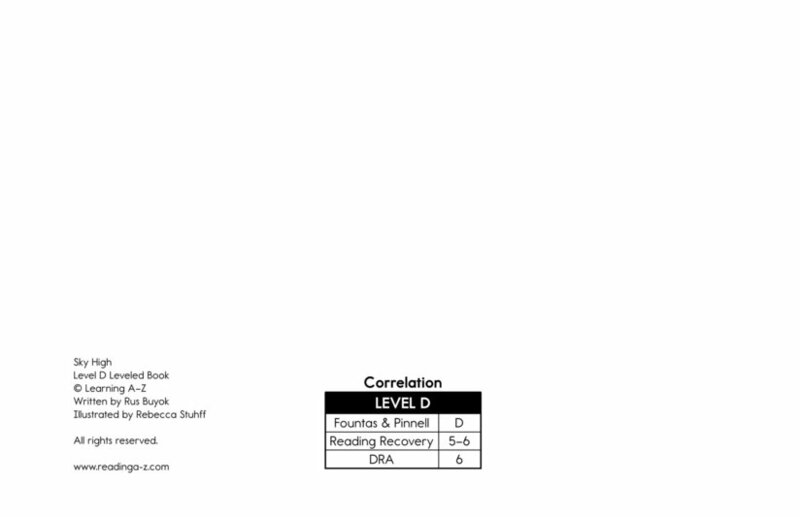 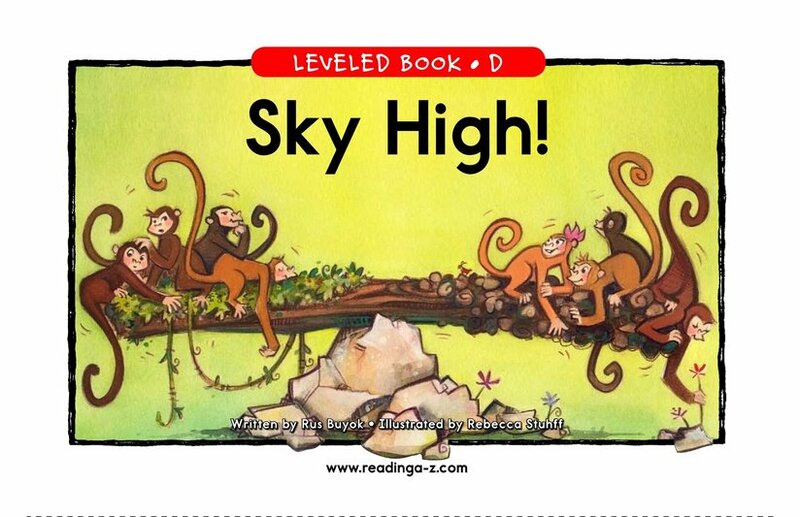 > Books > Leveled Books > Level D > Sky High! 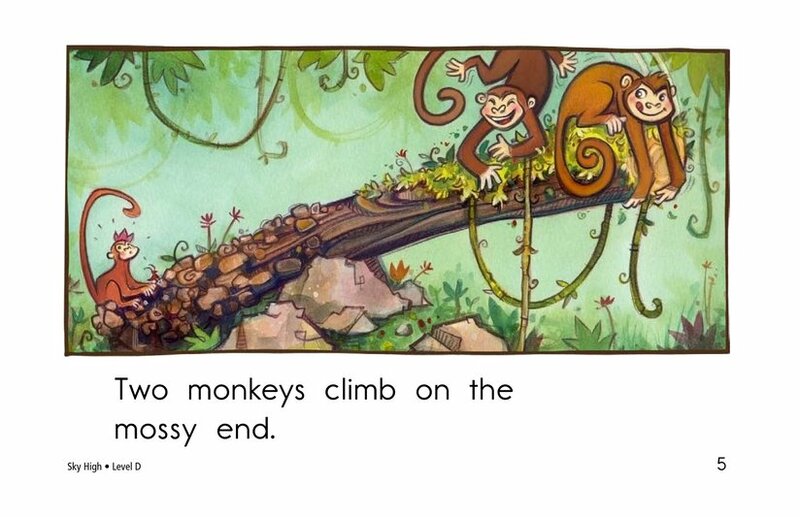 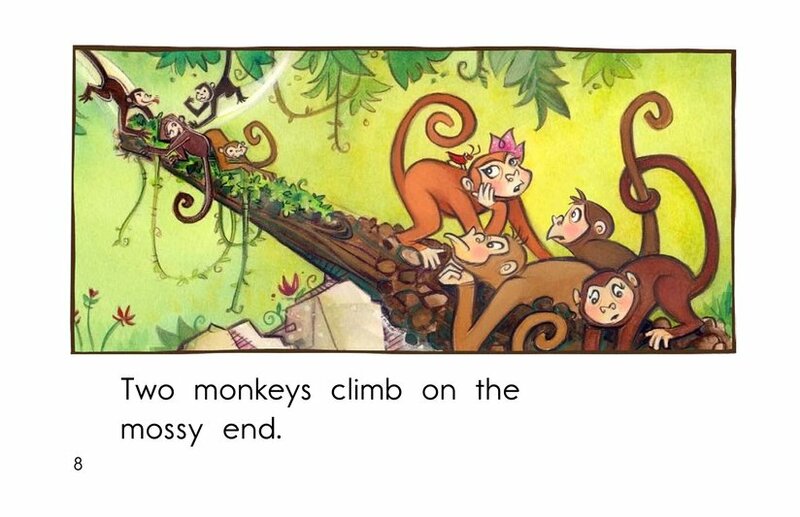 These curious monkeys are playing seesaw on a log. 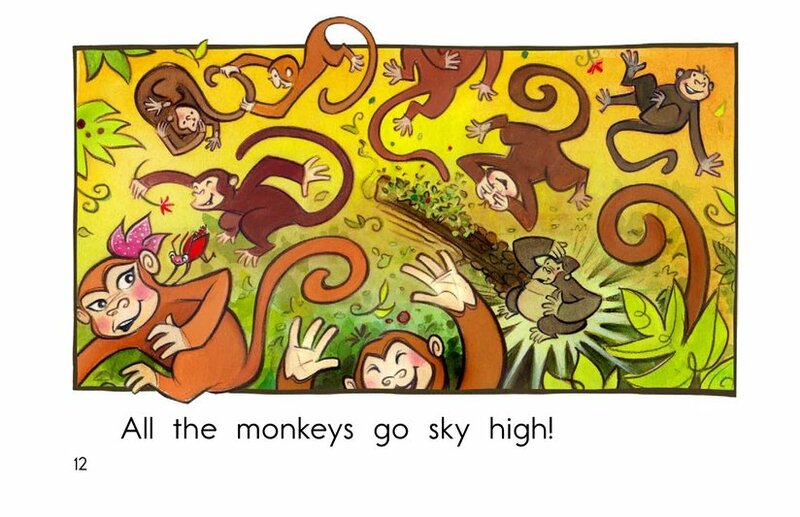 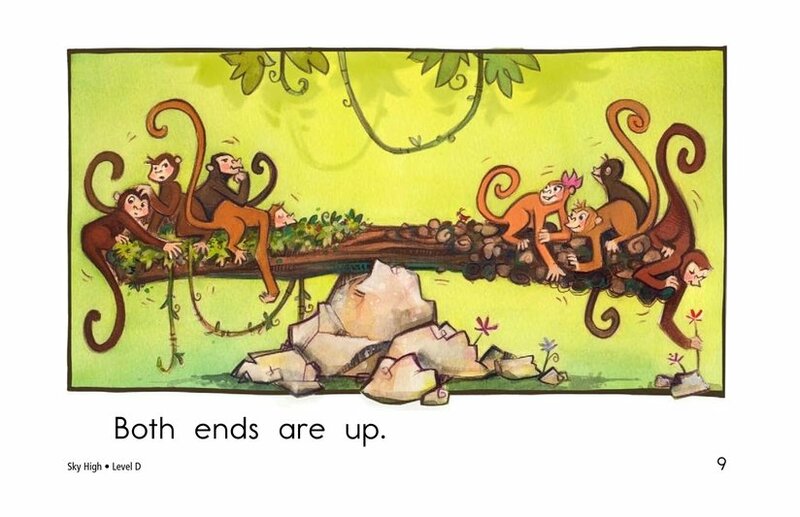 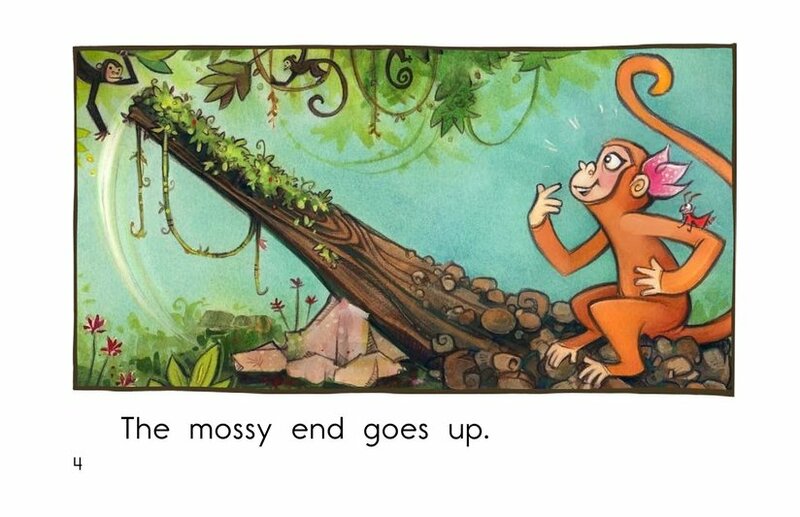 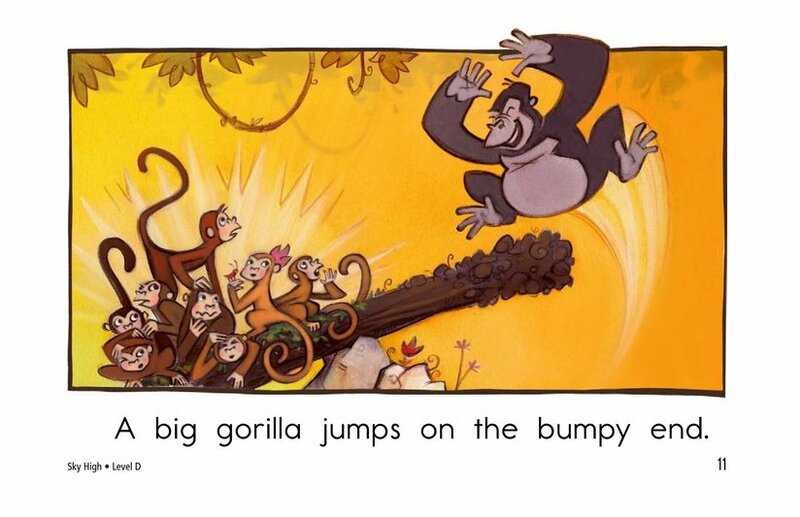 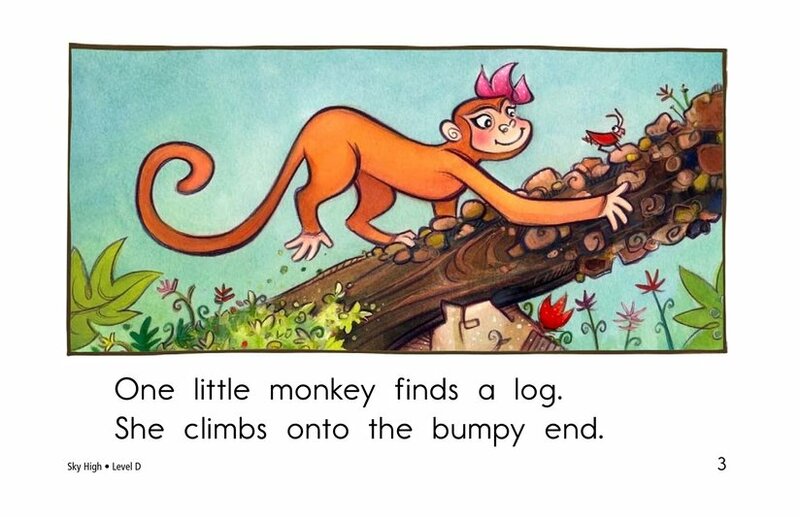 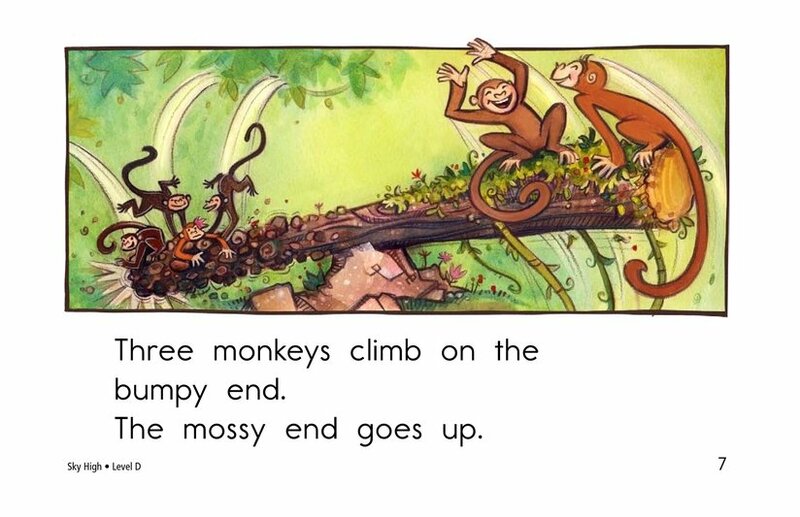 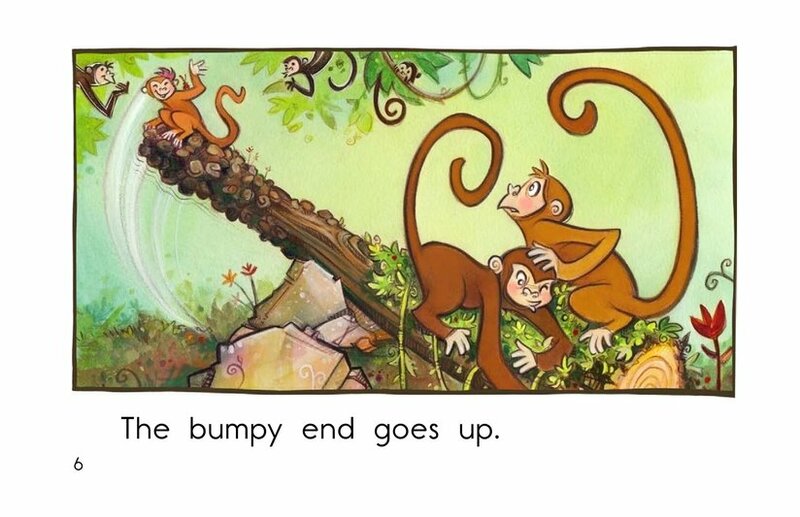 Watch their mischief as they swing up and down, learn how to balance the log, and are met by a surprise at the end. 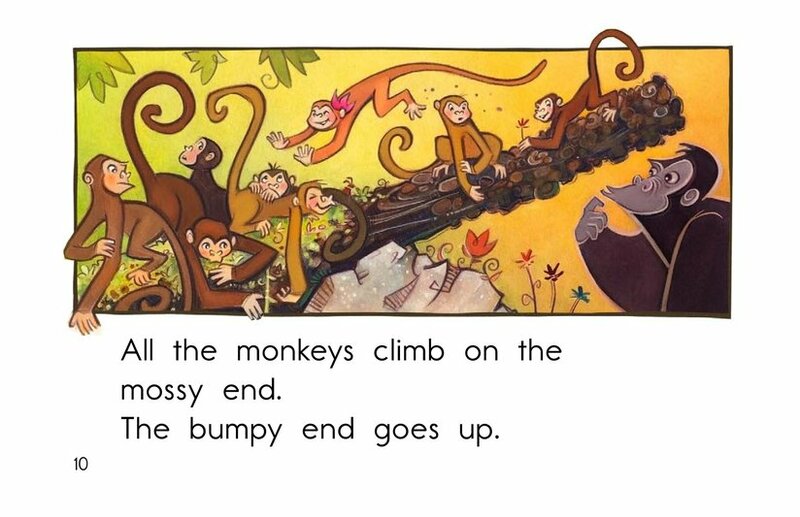 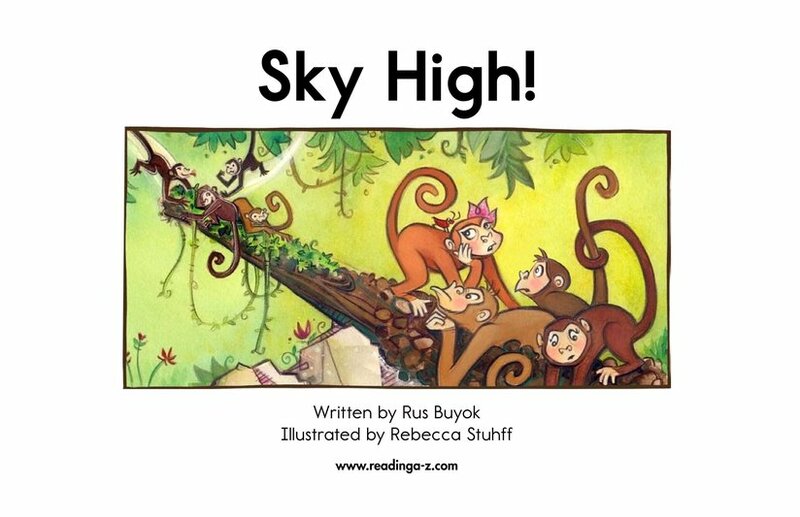 Students will be drawn by the humorous story with a big ending, and supported in their reading by clear, repetitive sentences.